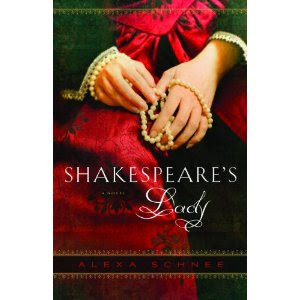 When I heard about Alex Schnee, an author and student at Sarah Lawrence college, and her recently published novel, Shakespeare’s Lady, I knew that I had to talk with her. We decided to Skype about both publishing books around the same time, what our experiences were like and why some view young women our age as complacent. Julie Zeilinger: Ok, so can you just start by explaining briefly what your book is about? HEY EVERYBODY. Watch this video. And even if it might be around 25 degrees where you are, just remember the message is always important (and it also applies to tanning!). So, you may remember about a thousand years ago when I announced the FBomb’s title contest. WELL we have a winning title. Yes, Ladies and Gentlemen, my book will have a title and it won’t just be a series of symbols that I refuse to reveal the meaning and purpose of or explain how to pronounce. The winning title is *drum roll please* …. I’m so happy with this title and hope that you guys like it, too! I’m also going to try to keep you all updated on the book’s status as it progresses and try to include all of you in any way that I can. I’m Writing A Book. And You’re Going To Help Me. When I was a freshman in high school, I read Jessica Valenti’s book Full Frontal Feminism and it changed my life. It’s what sent me to Feministing, which introduced me to the feminist blogosphere, which in turn inspired me to start a blog for teenage feminists. Because just like Feministing, Full Frontal Feminism can be applicable to the lives of teenagers in many ways, and has been passed around plenty amongst teen feminists, but ultimately Full Frontal is geared towards women in their 20’s and 30’s. Not to distract from the intensely serious problem that Ellen raises on the show, but SERIOUSLY?! HOW AWESOME IS SHE!? I want to be her best friend. Thank god for one of the few role models teen girls have. Do you know what a Fauxmance is? Do you need college-student-affordable vegetarian recipes? Would you prefer some Janis Joplin playing as you read style tips for your next interview? Here at College Femme we’ve created a community of college-aged women (and men!) who get to reflect about their lives and make all our journeys that much easier. Our writers are interested in all sorts of subjects, and so we have articles about school, music, literature, fashion, relationships, college-life, politics, and all sorts of other topics. Everything that’s ever posted up on College Femme boils down to one belief we share: Be More. Be Yourself. Be Beautiful. We all know this person. Rock on to “xOphoeniXfeath3r” for making me laugh as much as this video did.